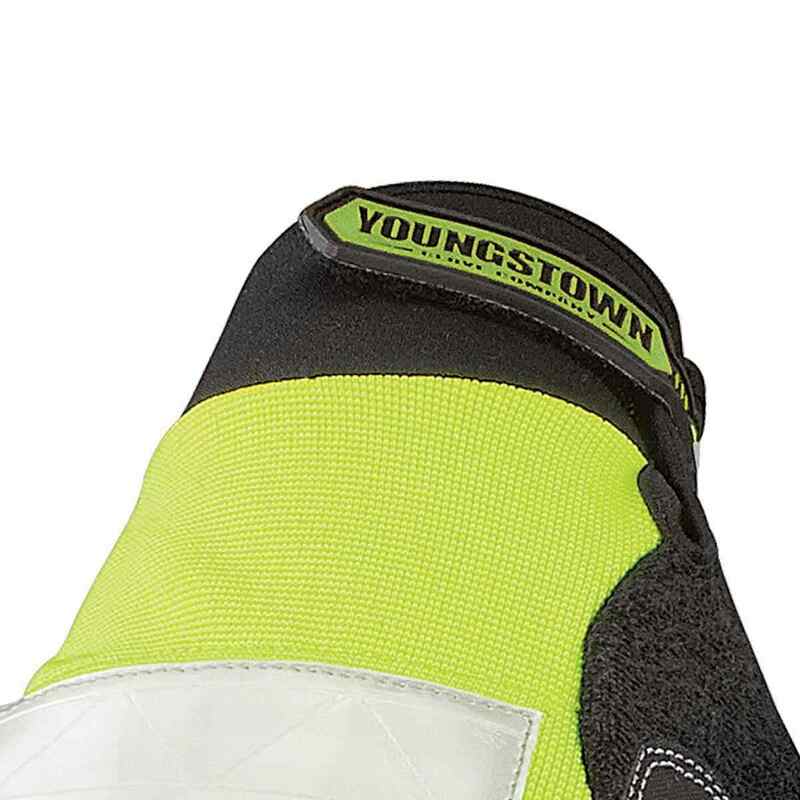 Youngstown's Safety Utility is a high visibility performance glove featuring reflective 3M Scotchlite on the knuckle and wrist along with Safety Lime coloring for visibility in low light conditions. 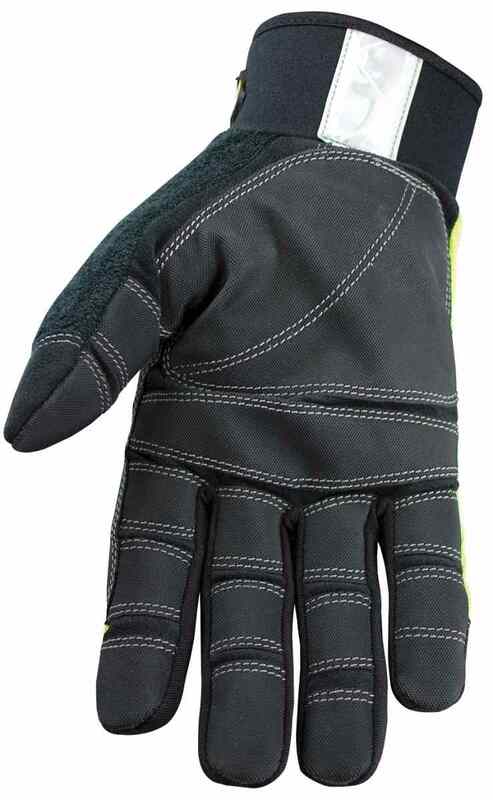 The palm, fingers and thumb are reinforced with non-slip for lasting durability and grip. 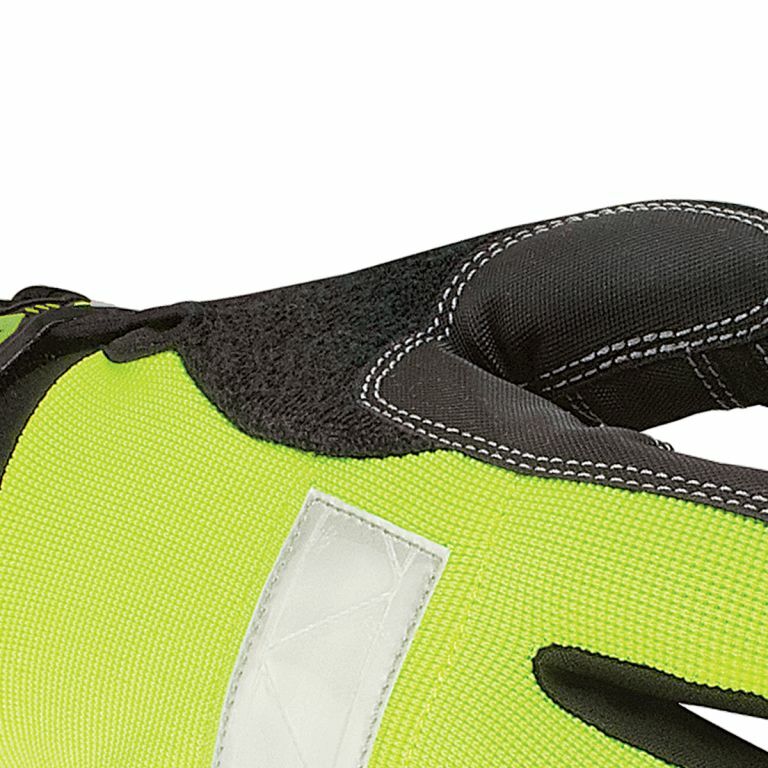 Also features a supportive Velcro cuff and closure and terry cloth thumb. 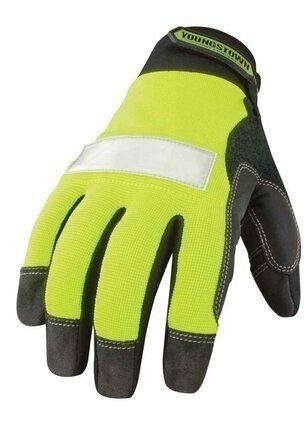 Safety lime stretch nylon on back of hand wicks heat and moisture. 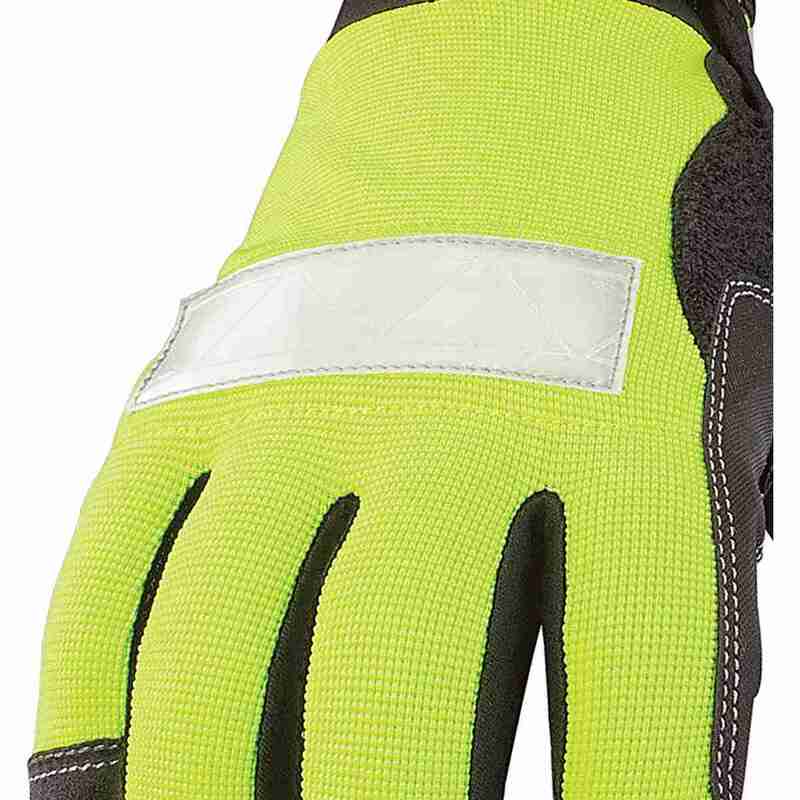 Reflective 3M Scotchlite on knuckle and wrist. Supportive cuff with adjustable Velcro closure.